Willmore Wilderness Park also known as Improvement District #25 has unique legislation, which has governed the Rocky Mountain Park since 1959. Willmore Wilderness Act is a legacy that early outfitters, guides and trappers of the eastern slopes fought for. Some of the people who lobbied for the legislation were of Métis descent and had been using the land base for more than two-hundred years. A visible scar was being perpetrated on Alberta’s eastern slopes as early as the mid-1940s and 1950s, as oil and gas leases were awarded in what is now Willmore Wilderness Park. The Edson, Hinton and Jasper guides, outfitters, trappers and Métis families were worried about the roads that the oil and gas sectors were inflicting on the mountain trails. Outfitter Tom Vinson stated in a July 19, 2003 interview, “So we pressured Norman Willmore (MLA) to do something about the oil and gas exploration, and he did. He declared the area a wilderness park where trapping, hunting and fishing would be permitted. That was all—no motor vehicles. That’s what we wanted, of course.” The pressure from the oil and gas sectors subsided when the leases expired, due to the fact that no oil of any consequence was discovered. Norman Willmore was instrumental in getting legislation passed in 1959. 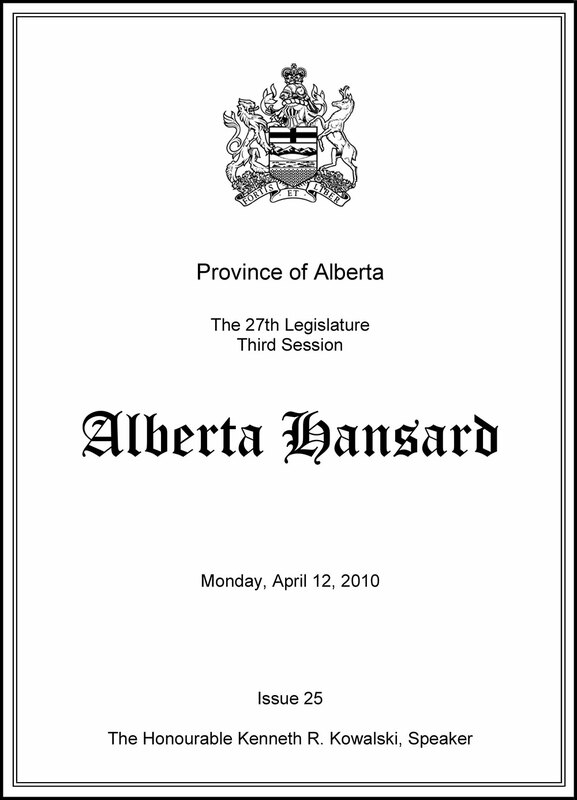 Motion 507 was put forth in the Alberta Legislature by West Yellowhead MLA Robin Campbell on April 12, 2010 and it was passed. 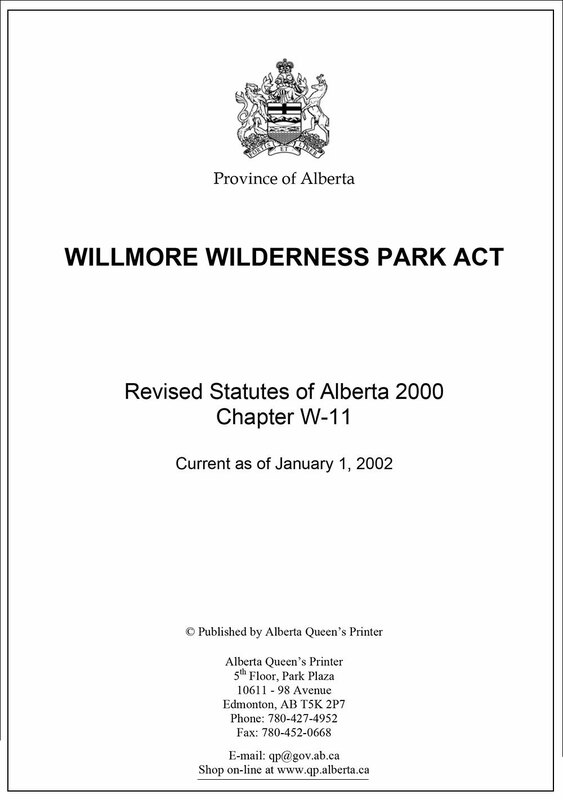 This Motion strenghtens the Willmore Wilderness Act. It keeps Willmore Wilderness Park separate from the other Alberta Parks. In Motion 507 Mr. Campbell (West Yellowhead MLA) moved: Be it resolved that the Legislative Assembly urge the government to not bring forward changes to the Willmore Wilderness Park Act which would restrict traditional land uses such as outfitting, trapping, hunting, and fishing. Several members of the Legislative Assembly spoke in favour of Motion 507, saying it was preferable to leave the management of the Willmore in the hands of Albertans rather than to an International organization such as UNESCO. A full transcript of the discussion and motion is outlined in the Monday April 12, 2010 Hansard Report. Kudos’s to Robin Campbell and those who supported this historic motion. The past hundred years have seen a huge transition on the eastern slopes of the Canadian Rockies—and the mountain people of the area have paid a very heavy price. Despite the betrayal of these indigenous people, it is reassuring to focus on the fact that both Norman Willmore and Robin Campbell had the foresight to have legislation passed, which created and protected Willmore Wilderness Park. There is some comfort in the fact that future generations will have the right to hunt, trap, fish, and use horses—all because of the lobbying in the 1950s and again in 2010 from outfitters, trappers, indigenous friends and constituents, for what became the Willmore Wilderness Act, strengthened by Motion 507. The Willmore Wilderness Foundation is a voice for this region and sees the Willmore Wilderness Act as a way of ensuring traditional rights that some seek to remove. There are those today who seek to ‘PROTECT’ the land with extreme environmental initiatives. In the past, the eastern slopes were under threat from resource extraction: however, today’s threats are the extremists who seek to ‘PROTECT’ this unique mountain park from the very traditions that have helped manage the resources over the past two-hundred years. The Foundation beleives that PROTECT simply means KEEP OUT. The Foundation holds the middle ground—not wanting resource extraction, however, to desecrate the land—as well as resisting the extremists who seek to ’PROTECT’ Alberta’s eastern slopes from man’s role in the biodiversity of the region. Man has long been a part of the ecosystem. Trapping and hunting must be recognized as management tools for wildlife conservation. The Willmore Wilderness Act strengthed by Motion 507 encourages management and conservation of the resources within its boundaries and preserves the traditional activities of the people who have used the area for more than two centuries. The Willmore Wilderness Act has been effective for the past fifty years, and the Foundation will remain vigilant to keep the Act intact. With so few wilderness areas left in North America, the Willmore Wilderness Act and Motion 507 are critical pieces of legislation, which ensures the age-old traditional activities of hunting, fishing, trapping, and horse use in this region. Willmore Wilderness Park is a haven for both the Earth people and those who yearn for a closer connection to the vast mountain wilderness. This magnificent area offers an incredible place to experience the great planet Earth— without the interruptions of the industrialized world. It is a timeless oasis of mountain streams, alpine meadows, wildlife and human traditions, which are all part of the ecosystem. It is truly one of the great wonders of the world. Thanks goes to the late Norman Willmore and West Yellowhead MLA Robin Campbell.